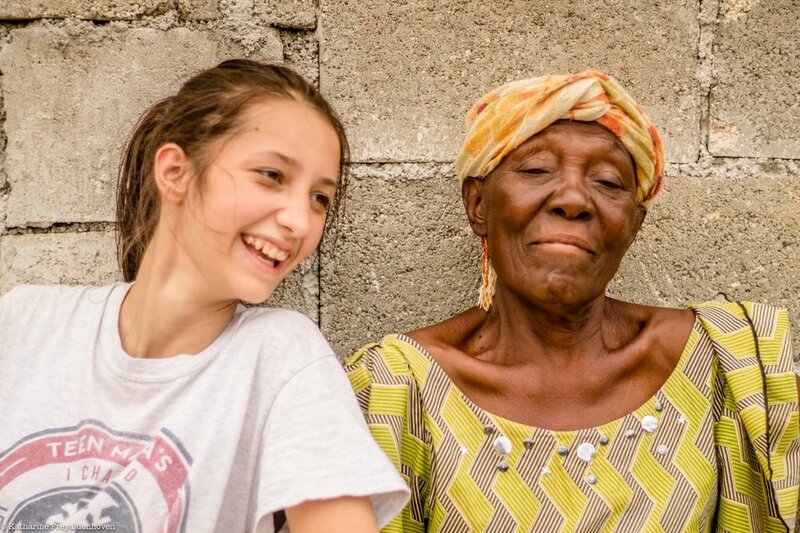 She's a mother and grandmother that Anna and Danielle met on their Haiti trip. Her daughter and grandkids live with her. The team was able to plant some trees at her home. To talk and laugh with her. To be with her. She's about 11 years old. Danielle met her and her friends as they were playing by the small pool of water near their home. It's the same water where they bathe and wash their clothes. The team played with these girls and other kids in the neighborhood. They laughed, They hugged. They were with them. And this is the church that the team was serving while in Haiti. Everything they did was in service to the organization/church that would be there long after they were gone. So what's the full impact of our girls traveling to Haiti for a week? We may never know. We do know that they went to be the hands and feet of Jesus. They planted trees that would provide shade for the Haitian kids for years to come. They painted homes to breathe fresh life into their humble homes. And they went and were with them. Jesus called us to "…go into all the world…". And one mission trip at a time our girls are starting to catch the vision for what that Great Commission is calling all believers to. I can see their eyes being opened to a world beyond what the typical American teenager experiences; school, music, tv, movies, Netflix, social media. They are getting to see other cultures. Cultures that Jesus gave his life for. They are getting to see that the Church of Christ is spread out beyond the walls of the building we attend on the weekends. There are believers all over the world lifting up the name of Jesus and proclaiming his good news to those around them. And little by little, I can see that they are becoming more and more aware of how God is weaving their story into His Story. I pray that they will always know their purpose and place because they know Him. View many more photos from the team's trip to Haiti here.